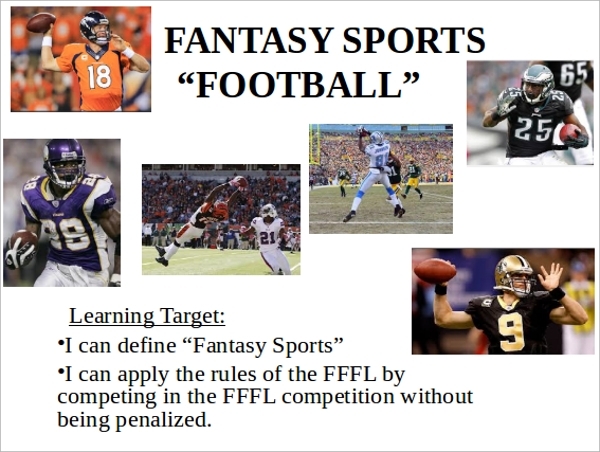 The Fantasy Football PowerPoint Template is widely used across the globe by business metaphors to create a perfect blend of teamwork, leadership and strategy. These templates carry a lush-green background with exciting pictures and figures to make them look more professional and engaging. F you’re an owner or an entrepreneur, then you can use these templates to encourage your employees for playing football or even to strategize their business objectives like a football team. It is an excellent solution for users who desires to present their game playing strategy with a lot of pictures and animations. 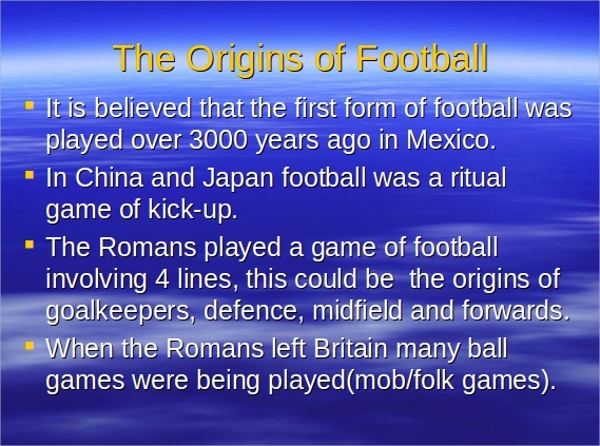 Since youth and young generation of every country is highly attracted towards the world football tournaments, one of the best solutions to make them learn about something is by using a Youth Football PowerPoint Template. All the slides in these templates carry a rich-professional look that empowers you to deliver your desired content with great ease. The templates contain a perfect blend of adequate text fields, relevant images, space for creating notes or findings, and a big graphical image as a background to make your presentation looks appealing, attractive, and interesting. 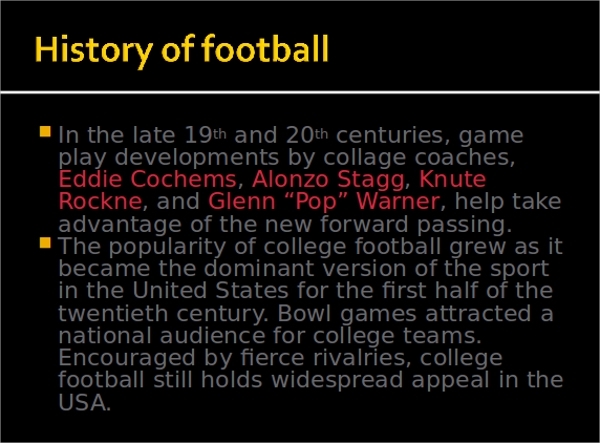 The American Football PowerPoint Template offers football-themed PPT background slides that you can customize to deliver powerful presentations on sports, especially football. 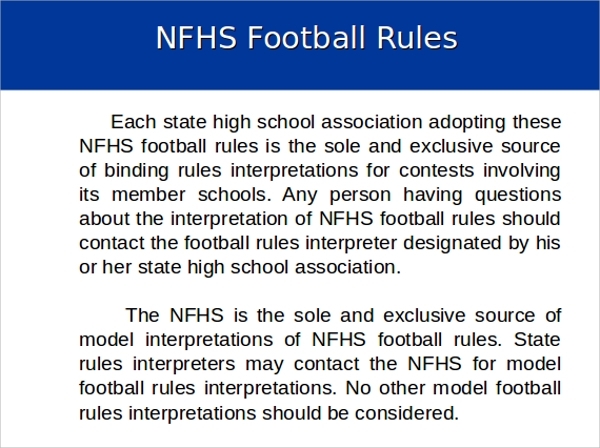 Since these templates are highly customizable and can be altered as per your requirements, you can use them to make presentations on Super Bowl, sports, and American football topic ideas. Additionally, if you head a sports academy, then you can download and use these templates to describe all the popular favorite football players, their game tactics, and strategies. 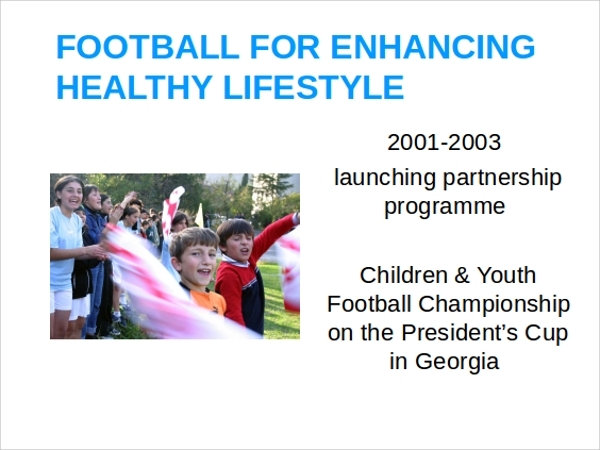 One of the biggest advantages of using ready made football templates is that you entire task of finding relevant images, adjusting backgrounds, and placing content fields gets eliminated. Since all these templates are created by professionals, they all carry blank fields and sections for placing your desired content, and carries a wide collection of relevant images and graphics to support your text. 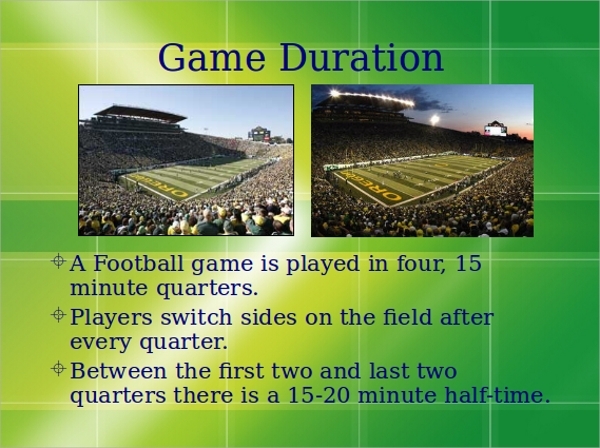 Using these templates you can easily create a presentation describing a game strategy, offering a detailed overview of a sports event, and even presenting the most popular football players and their achievements with great ease. These already made templates helps you create a colorful, engaging, detailed, fact-filled, and attractive sports presentation with a comfort of just placing the relevant text. Since these templates are highly customizable and can be personalized to meet your requirements, you can easily drag and drop slides to re-order presentation. 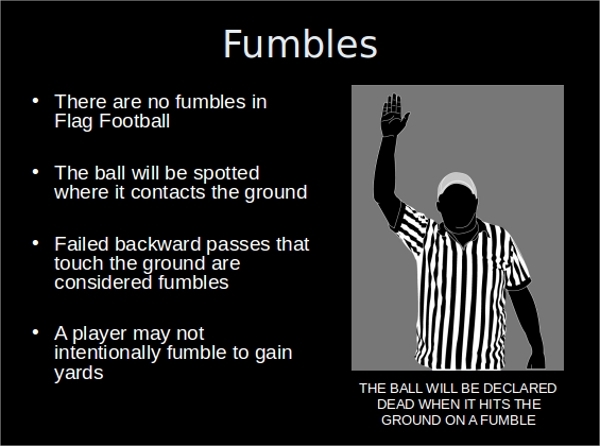 A variety of Football PowerPoint Template designs are available on the website to meet your sports presentation creations demands at large. All these templates feature a wide array of designer layout, color themes, and sports images that can help you in creating attractive presentations for a sports event, describing the life and achievement of a sports person, and even to describe your game strategies to your team players.